A circular oscillating head spins to clean and polish, even between teeth. 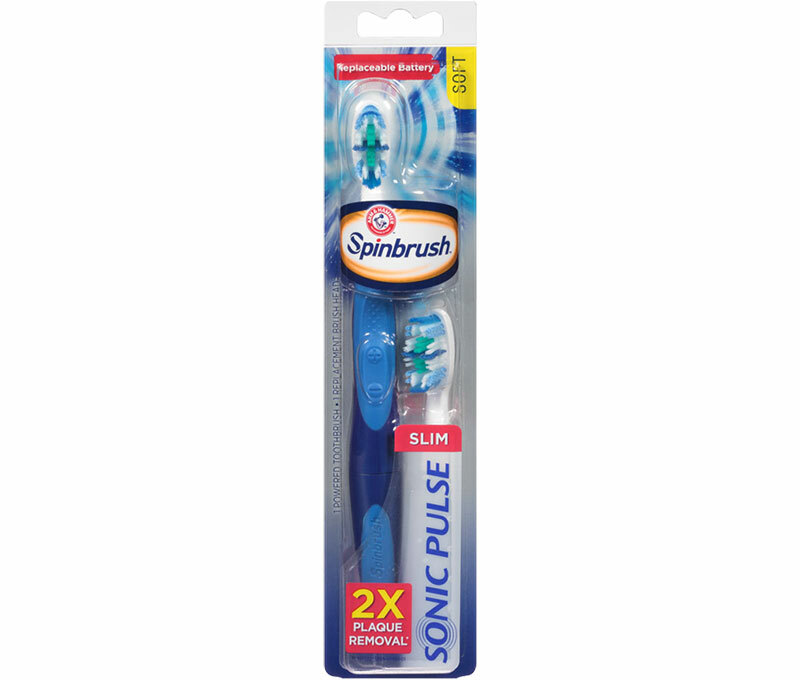 The secondary brush bristles move up and down to help scrub away plaque and massage along the gumline. Save money and keep the brush you love by replacing just the brush head. 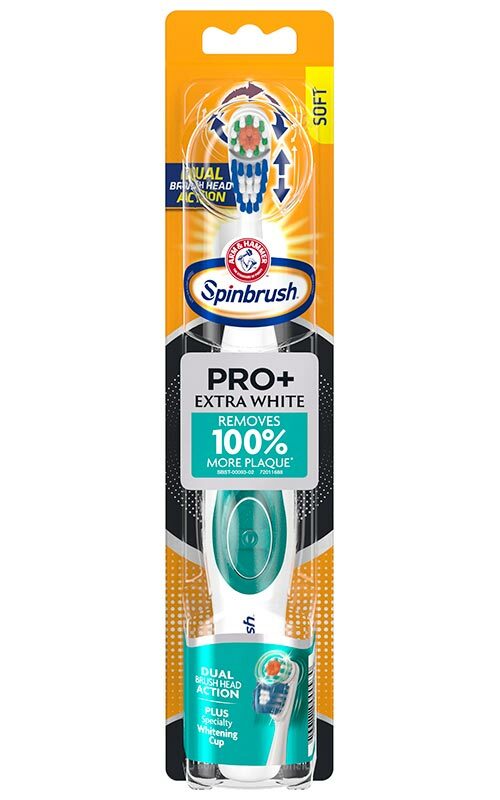 The brush fits perfectly in your hand, delivering superior comfort and control. With no bulky charger, it’s easier to store and carry with you! Batteries included — and replaceable. *Data on file. Oral-B is a registered trademark of Procter & Gamble. 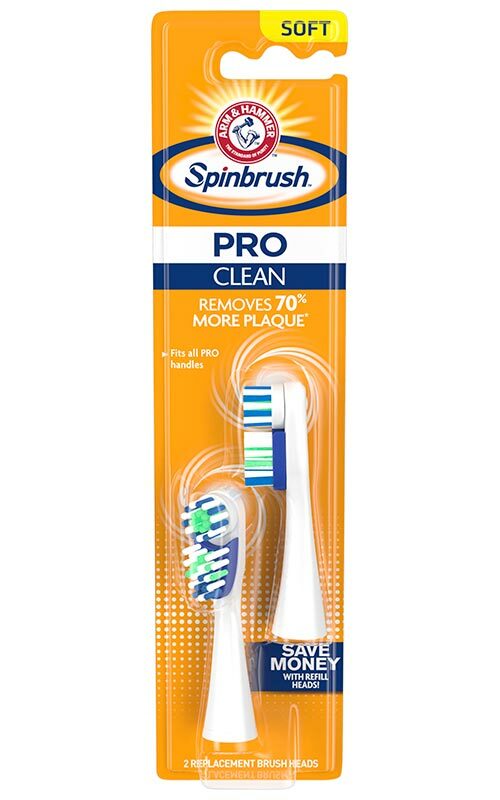 Spinbrush™ isn't like a manual brush. It does the work for you! 2. Hold the bristles against your teeth. 3. Just gently glide across! Discover more brushes from Spinbrush™ Pro!